AirportWatch | Heathrow 3rd runway would mean demolishing Colnbrook incinerator and relocating it – maybe to Stanwell? Heathrow 3rd runway would mean demolishing Colnbrook incinerator and relocating it – maybe to Stanwell? The Heathrow airport plan for a 3rd runway to the north-west of the airport, demolishing most of Harmondsworth and making Sipson impossible to live in, also demolishes the current incinerator at Colnbrook, run by Grundon. In Heathrow’s expansion plans they propose that a new incinerator should be built just south of the airport, in Stanwell -between Long Lane and Stanwell Farm. This is, at best, controversial. Residents are concerned about the prospect of an incinerator so close to their homes and with the spectre of the eco-park in Shepperton also looming, questions of just how much Spelthorne can take are being asked. The hope it, by advocates of locating a new incinerator there, that the prevailaing wind from the west would blow any pollution away from Stanwell, and towards the east or north east. 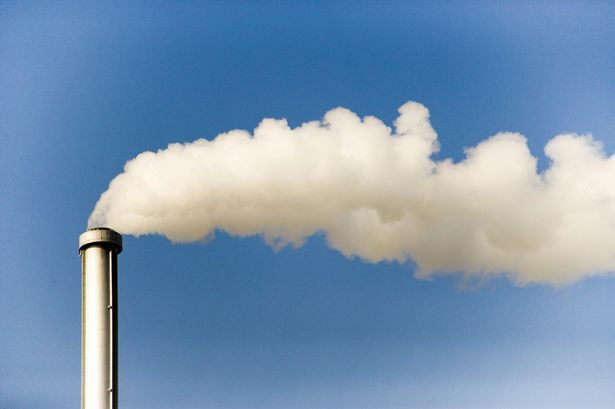 Incinerators are unpopular in most areas, as people fear not only dioxins in air pollution, but also the associated heavy traffic from lorries. People in Spelthorne are not convinced they want to host two large incinerators. 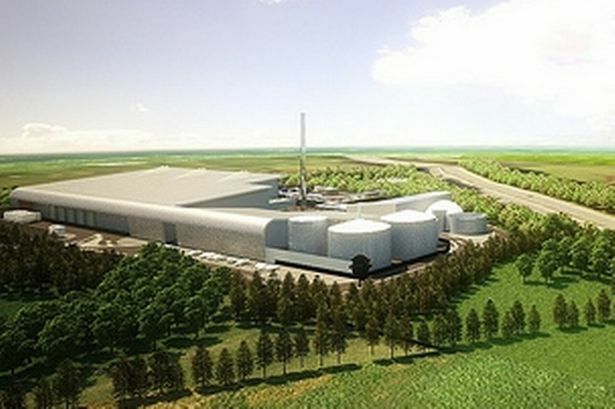 A relocated ‘super incinerator’ between Long Lane and Stanwell Farm, as part of the Heathrow Airport expansion plans, would be a “win-win” for residents, a councillor has claimed. The community group Colnbrook Views pored over the full Airports Commission submission and said that “hidden as a spurious detail” was an orange shaded section outside the airport’s southern perimeter. “This is a proposed relocation for Grundon’s super incinerator, which would be lost under the airport’s revised plans for an expanded airport,” they said. Residents are concerned about the prospect of an incinerator so close to their homes and with the spectre of the eco-park in Shepperton looming, questions of just how much Spelthorne can take are being asked. But one borough councillor sees things differently. Nick Gething, ward member for Ashford Common and cabinet member for economic development and fixed assets, said: “It’s actually in a neighbouring borough and given the prevailing winds, it’s actually probably better there for Stanwell than anywhere else. “Given where the incinerator is, I presume there is more chance of them being down-wind. His views, however, clashed with his Ashford counterpart, Cllr Carol Coleman, who said: “Well, I guess this means we are going to have two incinerators in Spelthorne then. “I don’t support airport expansion at Heathrow anyway. “I just think this is another reason why it shouldn’t happen at Heathrow. “It’s not just a simple matter of expanding, it’s all the knock-on effects too. Andrew McLuskey, of Diamedes Avenue, was the first person to spot that Heathrow was eyeing up trenches of Stanwell Moor to make way for a flood pit. He was equally displeased with this new potential move. A spokesman for Heathrow said: “As part of our expansion plans, the waste incinerator at Colnbrook would need to be relocated. the Grundon super-incinerator moved … to Stanwell. Never has the expression ‘you reap what you sow’ sounded more appropriate. Hidden as a spurious detail deep in the schematics for what Heathrow Airport Ltd is calling its “refreshed north west master plan” is a little orange shaded blob just outside the airport’s southern perimeter. While it’s there on all of the maps, only on one page in Volume 3 of the 1,000 page technical submission will you find the key: ‘Energy from Waste Plant’. Energy from Waste is key to Heathrow’s claim that its master plan will enable it to produce “at least 60% less carbon from energy use than in our baseline year of 2010″. In addition to external electricity supplies, Heathrow currently already has a degree of on-site energy generation capability and it supplies waste material to Grundon’s super incinerator at Colnbrook Lakeside. That will be lost when Grundon’s facility is under the new runway. Heathrow is investing in grey-water recycling and plans to install massive solar farms to generate electricity for the new terminal. However, redevelopment of the so-called ‘Energy from Waste‘ plant at Colnbrook Lakeside is considered imperative to both handling waste coming from the airport and generating electricity for the airport if it is to meet the its promises. Nowhere in Heathrow’s submission has it spelt out the impact on the local community, who seem blissfully unaware of the implication. Stanwell residents put up a vigorous defence to the airport’s earlier ‘South-West’ option, rejected by Davies. But the proposed site of the new incinerator is West Bedfont, part of Stanwell. In the shadow of Heathrow’s southern border West Bedfont, much like our own area, is surrounded by open spaces, football pitches, and within spitting distance of Bedfont Lakes Country Park. The area is dominated by freight companies. But unlike Grundon’s facility in Colnbrook residential properties will be only a few hundred yards away. In December 2012 former Colnbrook ward councillor James Walsh hit out at Kwarsi Kwarteng’s support for building two new runways west of the current airport, which would have seen most of Poyle under tarmac. Those plans, fortunately, were given short shrift by the Airports Commission, but Conservative Kwarteng has maintained his staunch support for the expansion of Heathrow in contrast to his colleague Adam Afriyie. Colnbrook with Poyle was set to join Spelthorne following the Local Government Boundary review in 2012. Ironically, Kwasi is currently involved in a local campaign in his constituency opposing the construction of a waste incinerator in Charlton Village, even going as far as to call a debate in Parliament to discuss the issue. Nobody in Colnbrook will miss Grundon’s toxic plume, or the continuing unwillingness to engage with residents on air pollution figures that have, at times, been off the scale. And, Mr Kwarteng, your constituents may not appreciate what you have inflicted upon them either. The proposal for a controversial waste processing ‘eco-park’ in Shepperton was first made by Surrey County Council in December 2009. Permission for the site in Charlton Lane was granted in March 2012 in the face of strong protests, but a new design for the plant was revealed in June 2013 after the previous designer went into administration. Facts and figures relating to the Eco Park remain unclear according to a report into Surrey’s near £1 billion waste PFI contract. The National Audit Office (NAO) published its findings on Surrey County Council’s plans for the Charlton Lane site on Tuesday, criticising the authority’s failure to deliver the Eco Park project that has already paid out more than £100 million to its partner, Sita Surrey. The report, which also investigated sites in Herefordshire and Worcestershire, will now form the basis of a hearing of the Public Accounts Committee held before Parliament. He said the Department for the Environment, Food and Rural Affairs (Defra) had given good support and guidance to local authorities but that the nature of funding agreements with Surrey, which the department had inherited from its predecessors, made it difficult for it to withdraw or amend financial support to the contracts “even when significant infrastructure had not been delivered as planned”. The report states that Defra has had to ‘reprofile’ Surrey’s funding after it failed to deliver on its contracts. This means the county’s cash flow between 2013 and 2016 is expected to be lower than it would have been under the original agreement, although the total amount paid by Defra during the full term of the agreement will remain unchanged. To combat this, Surrey established a sinking fund in 2011 into which it deposited a proportion of the waste grant it had received each year since 1999, when it signed a 25-year integrated waste contract. This contract is estimated to have cost the county £740m with Sita but Defra says this figure could be as high as £897m. The waste deal includes performance targets for the recycling and recovery of waste and provision of residual waste treatment plants. These were originally expected to include two energy-from-waste plants but these have now been reduced to just the Eco Park. Defra made a commitment to pay £204.7m towards the contract in 1999 and has paid this in instalments ever since. The report states: “The nature of the contract meant that Surrey started to pay the contractor once the latter began to provide services under the contract, irrespective of whether all of the planned infrastructure had been delivered. “Therefore, for the first 15 years of the contract, up to 2012-13, Defra paid each of the planned grant payments in full, even though not all of the planned facilities had been built. Posted: Friday, July 4th, 2014. Filed in General News, News about Airports, Recent News.